NEW VEHICLES Comox Valley Toyota offers 1st rate service as well as the best prices in British Columbia. We also have travel vouchers for our out of town customers so you can take full advantage of savings AND get an Island vehicle. Comox Valley Toyota is your full Proposal Toyota Dealership on Vancouver Island.? We offer free appraisals and free credit evaluations up front with no obligations and will provide you exact numbers on the vehicle you wish to trade in, so you can go home and make an informed decision.? We will deliver to anywhere in B.C and will pay your way to come to the Comox Valley. *The online price noted may be lower or raised depending on market conditions. * All prices include Freight and PDI on new vehicles. *All prices plus applicable taxes, documentation of $499 and full tank of fuel surcharge of $86 if a full tank is chosen. Other protection items available that are not included in the above price: ? Tire & Rim Protection and Key fob insurance starting from $599 Service contracts (extended warranties) for coverage up to 7 years and 200,000 kms starting from $1059-$4599 Custom vehicle accessory packages, mudflaps and deflectors, tire and rim packages, lift kits, exhaust kits and tonneau covers, canopies and much more that can be added to your payment at time of purchase Rust modules, and full protection packages starting from $599 Financing Fee of $499 when applicable Flexible life, disability and critical illness insurances to protect portions of or the entire length of vehicle loan, Those who know dirt, know Tacoma. Backed by Toyota's heritage of toughness, it's the pickup truck that defines off-road cred, proving itself daily as it conquers extreme terrain all over the globe. It's the stuff that's made Tacoma one of the most sought-after nameplates in trucks, and this rig is only getting better. New for 2018 is Toyota Safety Sense an advanced suite of active, high-tech safety features. And best of all, it comes standard on every 2018 Tacoma. 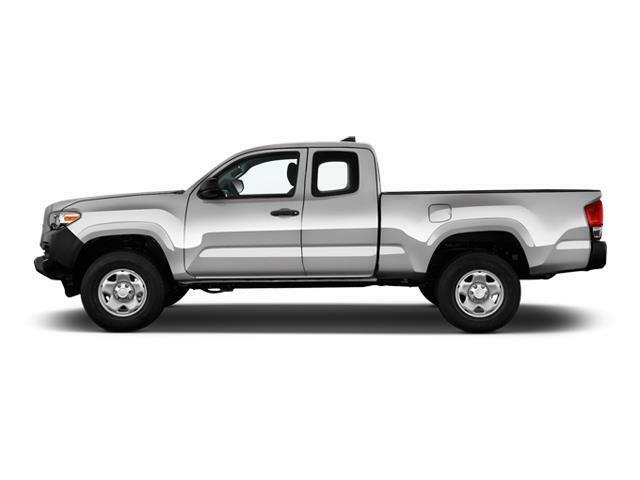 So wherever your weekend takes you, you can bet that Tacoma's got your back.